The Zimmer A.T.S. 1200 Tourniquet System provides accurate pressure monitoring for patient safety and confidence. 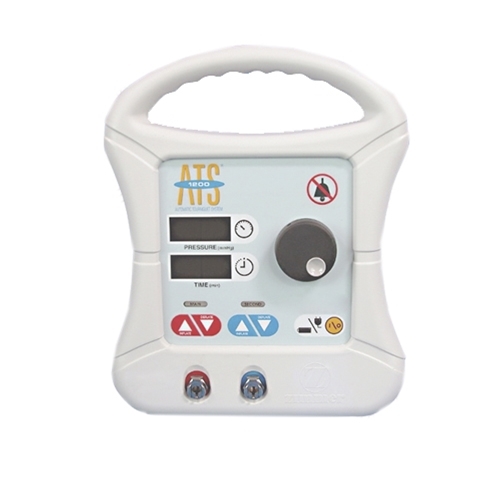 Microprocessor controls and built-in safety features with self-diagnostic tests make monitoring reliable in a single port, dual cuff surgical tourniquet system. Soma Technology, Inc offers a wide range of Tourniquets. If you have any questions about any of our Tourniquets or need a quick quote, call 1-800-GET-SOMA and one of our knowledgeable sales representatives will help you.